This action-packed military thriller stars Armie Hammer (FREE FIRE, THE MAN FROM U.N.C.L.E.) 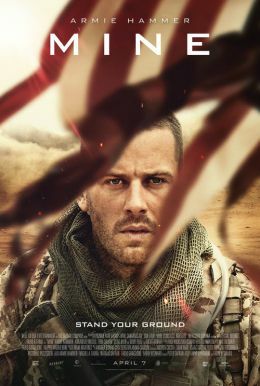 as a U.S. soldier who, stranded in the desert for 52 hours after a mission falls apart, must fight for survival against his enemies, the hostile environment, and the creeping psychological toll of his treacherous situation. Annabelle Wallis (ANNABELLE, THE MUMMY) and Tom Cullen (WEEKEND) co-star in this tense, explosive film from the producer of BURIED and THE CONJURING.